This is a follow-up post to “Are you a content hoarder?” where we explored why people hold onto content long after its usefulness is over. 1. Remove content that is no longer useful or used. See the initial post for criteria determining what to declutter. Step 1. Admit you’ve been a hoarder. 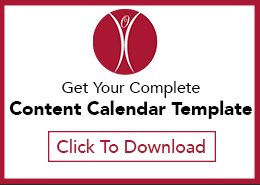 Find all the content on your site that’s more than one year old. Review it for currency and delete any content that is no longer relevant. Step 2. Take a cold, hard look at reality. Check the usage for these content items compared to the site overall. Determine a baseline for a minimum number of visits and delete any content that falls below that. Step 3. Start small and then progress. If you have a large website, you might start with one section and do a content audit, mark outdated content and then pull metrics for the remaining pages. That will make the effort more manageable. 2. Figure out why you were hoarding content. Being honest with yourself in determining why you were keeping content online that is not current, relevant, or used is the first step toward creating a better, cleaner content collection. 3. Make sure you never hoard content again. Step 1. Create rules about what to keep. Now that you know what content shouldn’t have remained online as long as it had, create a set of rules that will allow you to document these decisions going forward. Ideally, you’ll be able to implement the rules into the content lifecycle of your CMS. You will need to educate your organization about these rules — and remind them in various formats — so they know how long their information will remain online. Step 2. Consider creating a place or a publishing status for information that will no longer be on the website. This might be an archive status in the content lifecycle — as newspapers often do, where they display content from a recent time period on landing pages and in internal searches but enable users to choose to include older content in an advanced search. Alternatively, you could move this older content to a separate site altogether, either with or without public access, if it might have historical value for the organization. Content Company has experience with all of these components to an anti-hoarding program. If you are interested in our help, please contact us.